Published Dec 6, 2010 by Peachpit Press. Part of the Learn by Video series. After purchase, the video will be listed under Registered Products on your Account page. Click the "Access Bonus Content" link to access the lesson files that accompany this online video. This complete training program from Adobe Press and video2brain includes over 18 hours of exceptional video training to teach you the fundamentals of InDesign CS5 as well as the basic principles of page layout. Maybe you just bought InDesign and it’s still in the box, maybe you’ve played with it for awhile and see how much there is to learn, or maybe you’ve used it for many versions and want to take your skills to the next level. In any case, you’ll learn what you want to know in Adobe InDesign CS5: Learn by Video. 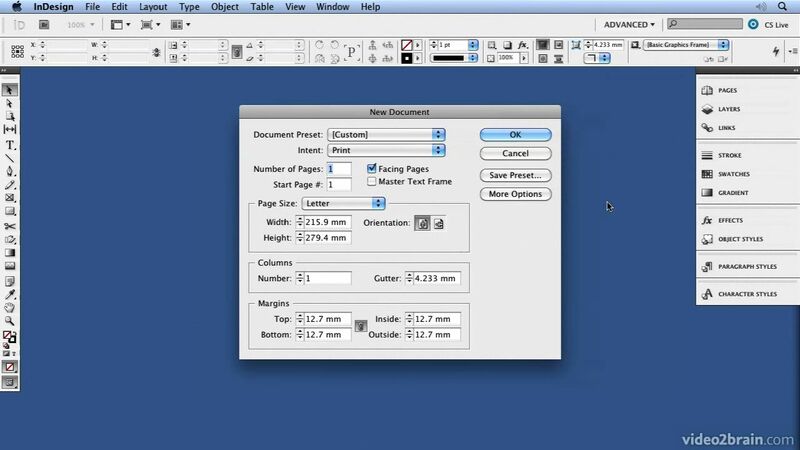 Expert trainers Russell Viers and José Ramos show you how to navigate InDesign’s interface and use essential commands and tools to design, lay out, preflight, and publish engaging print documents. You’ll also learn to use InDesign’s CS5’s advanced features to add interactivity to your documents and publish them online. The lessons are wrapped in a feature-rich interface that lets you jump to any topic and bookmark individual sections for later review, and interactive review questions help reinforce what you've learned. The Full-Screen mode provides a hi-def, immersive experience.